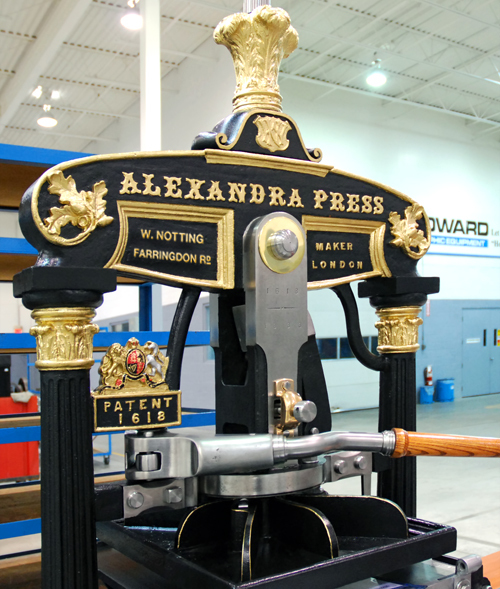 This machine, produced by the W. Notting Co., who are still in business, is a variant of Richard Cope’s Albion design. The Albion was, next to Clymer’s Columbian, extremely popular. In order to maintain interest from the buying printers, many firms decorated their machines. This version is called an Alexandra and celebrated the 1863 wedding of Denmark’s Princess Alexandra to England’s Prince Albert. Few remain today. 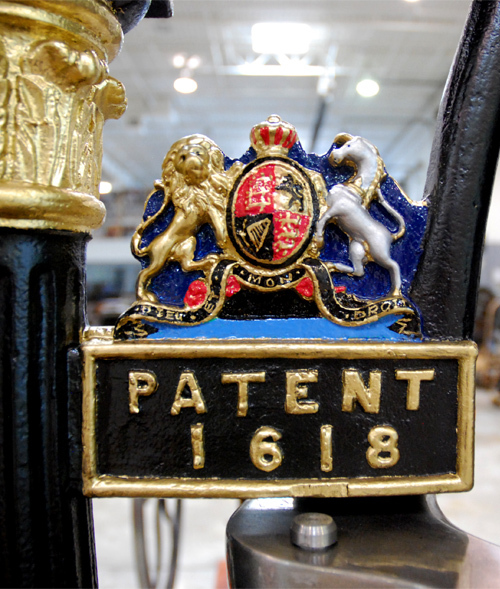 Our machine includes Queen Victoria’s coat of arms cast above the platen on the left side and Notting’s name was removed by a type foundry, J. Haddon & Co., who must have bought this machine and resold under their own name, which was a common occurrence at the time. Demy refers to the paper size of 18.5" x 24.5”.